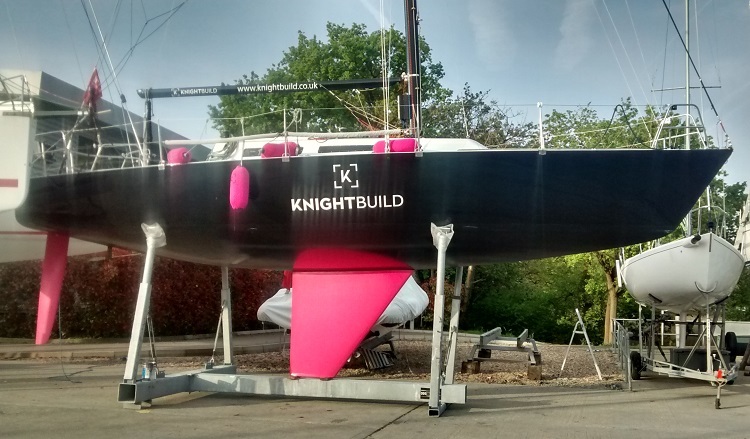 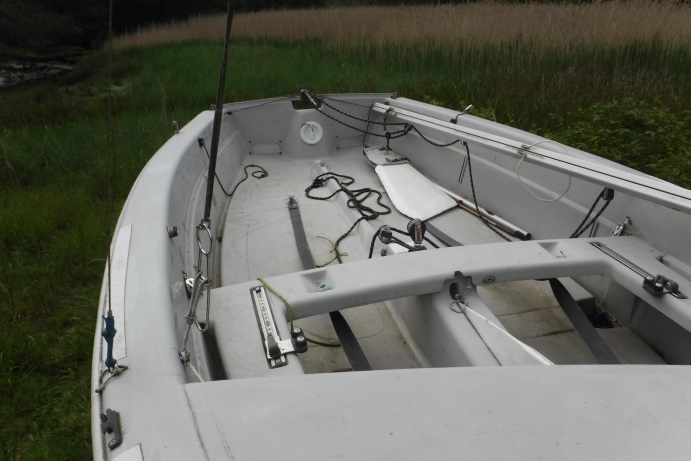 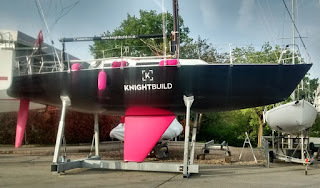 Matching fenders and keel, classy if only from the fish eye view. 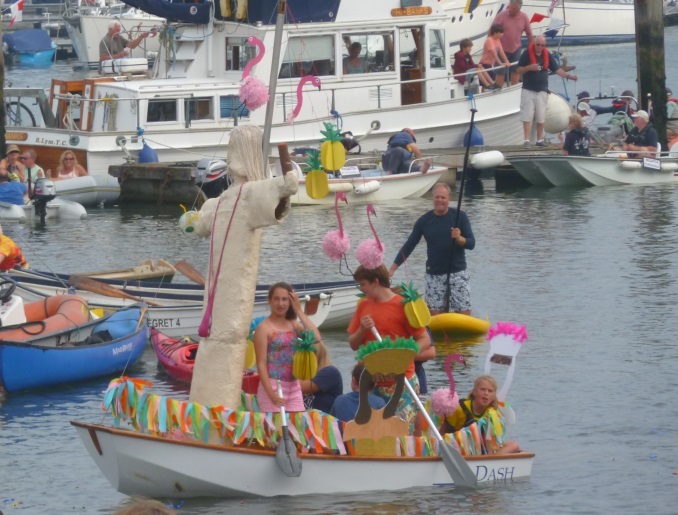 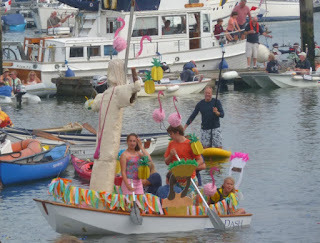 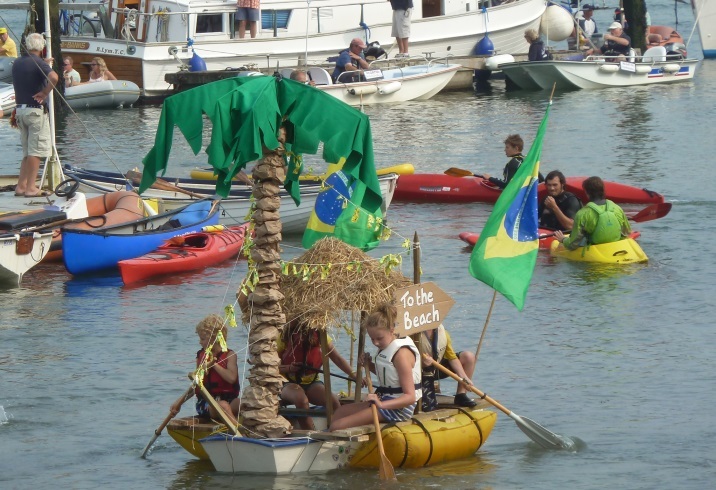 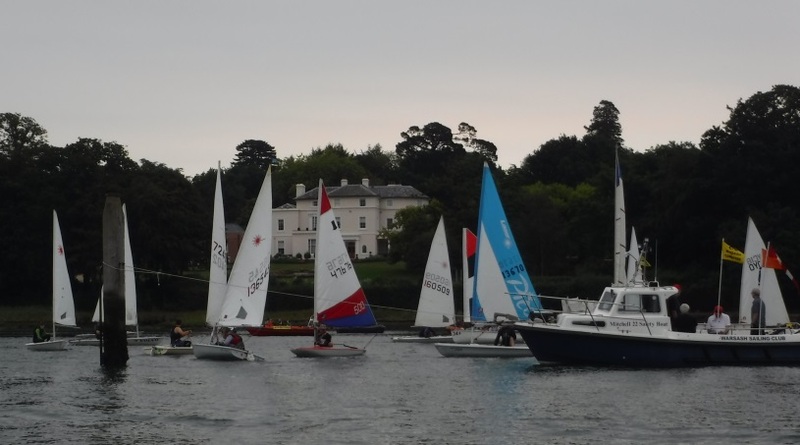 For those of us who didn't get to the Olympics, Rio came to us in the theme of this year's Bursledon Regatta. 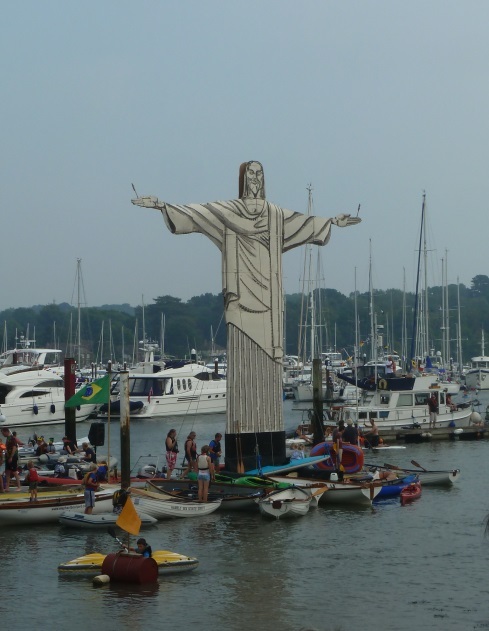 Paul Landowski's famous statue Cristo Redentor was recreated down in the Elephant boatyard. 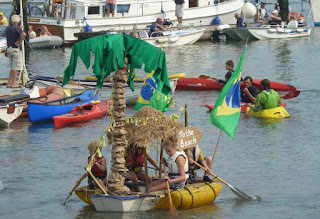 While down in the pool some of the participants took to the water in their Copacabana inspired creations. 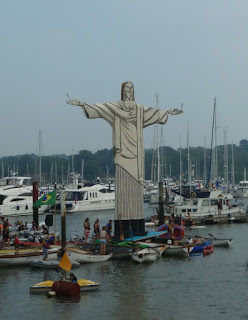 And others recreated a smaller and floating Cristo Redentor with a suitable carnival mix. 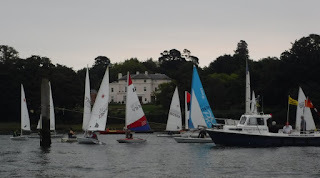 In the morning the dinghy sailing seemed well attended racing down the river and back on a slow beat into the light northerly wind, but despite that it was a lovely sailing day. A couple of neglected Wayfarers lying at the side of the slipway at the YMCA Fairthorne Manor recently. 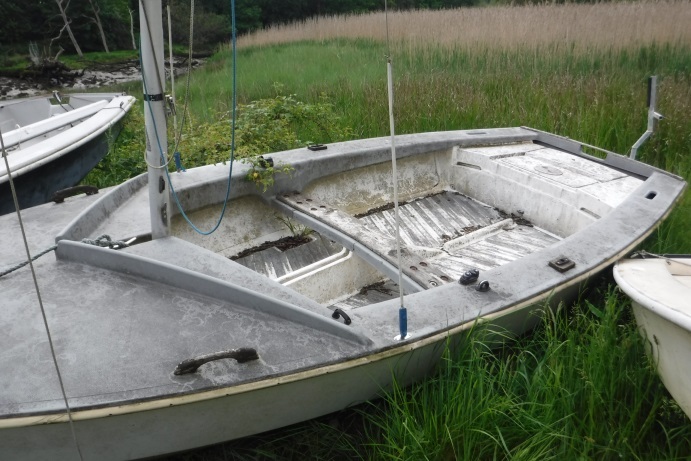 Neither boat was in too bad a condition, they could do with a thorough clean and polish and a couple of badly done repairs like the thwart on the grey one below would beneft form being done properly. 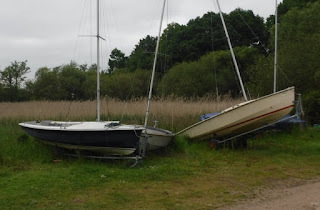 Appreciate that at an activity centre like Fairthorne boats get a hard life and are depreciated over a few years. 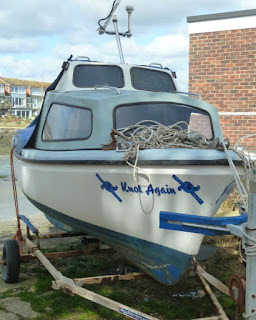 But these would make a great winter project for the sea scouts or similar organisation and could be sailing next season. 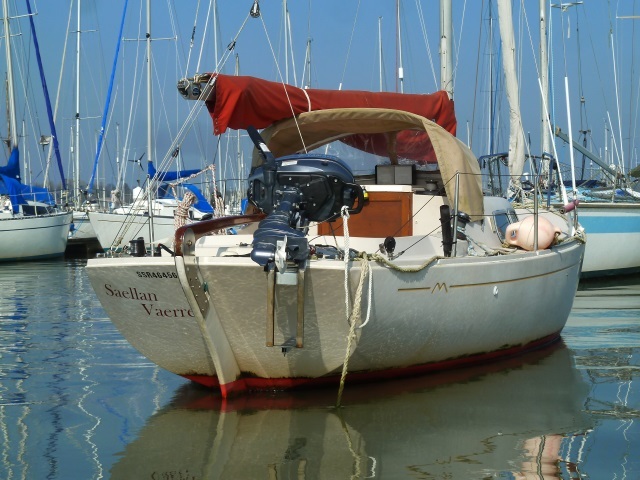 Is a Marieholm folk boat, apart from needing a quick scrub around the waterline she's rigged and ready for the season. 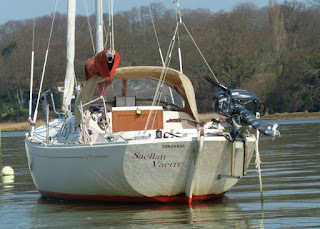 The spray hood suggests she's a cruiser or at least the owner likes somewhere to shelter when things get cold and wet. 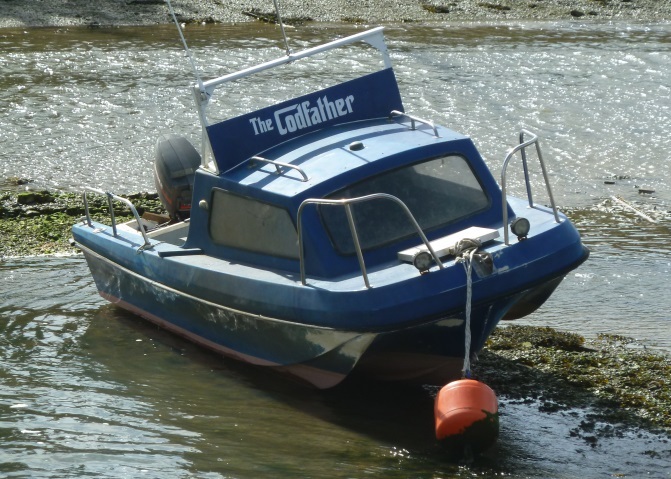 I guess the owner is either a fisherman or owns the local fish and ship shop. 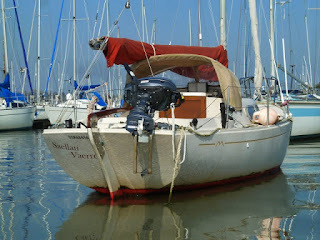 This probably wouldn't have caught my attention were it not for the fore deck rope work. 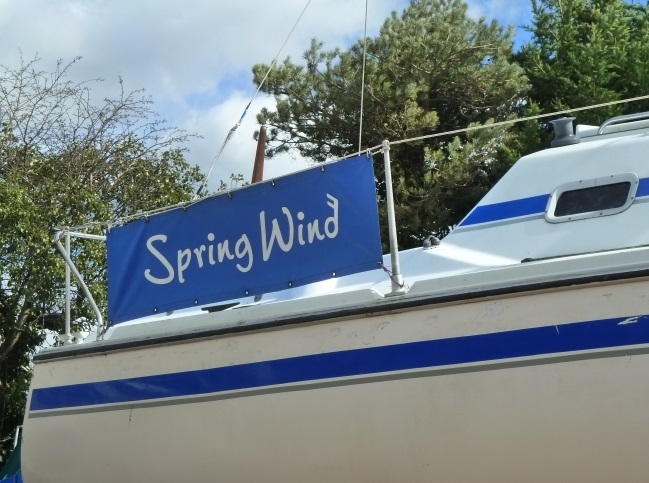 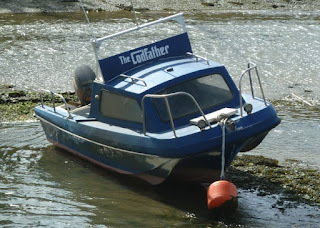 While I was thinking about he strange names motor boaters so often have for their boats, I passed this yacht, while not quite Passing Wind, or Breaking Wind, anything with wind is probably better avoided. 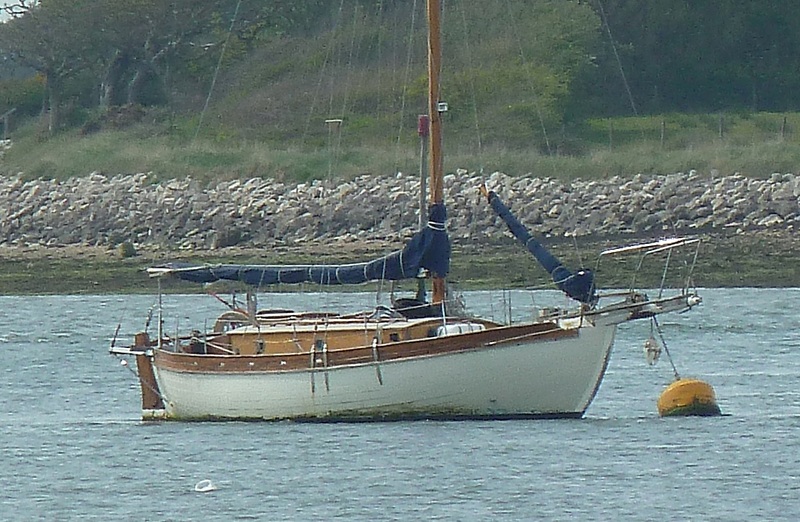 Matilda Emile our First 21 moved up to her new home at Scarborough on the north east coast almost 2 years ago, but the new owner is still sending me pictures and she's looking great. 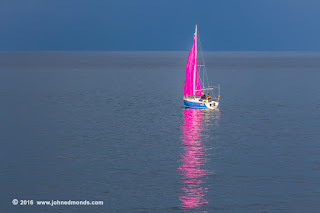 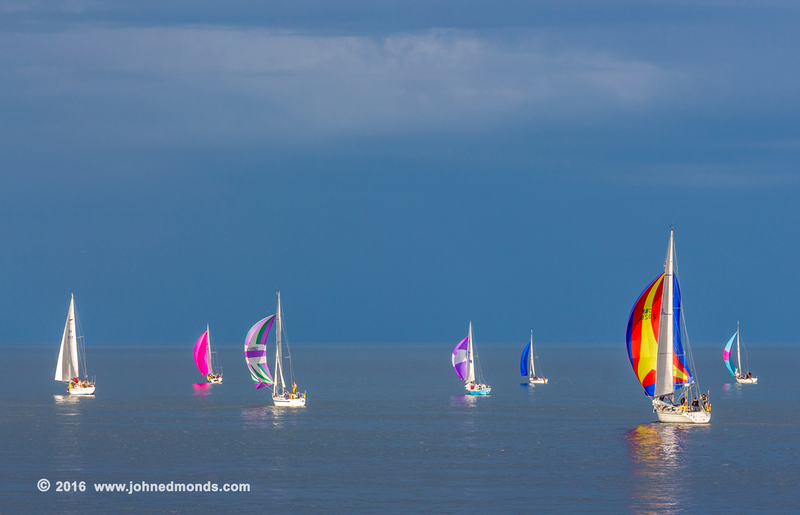 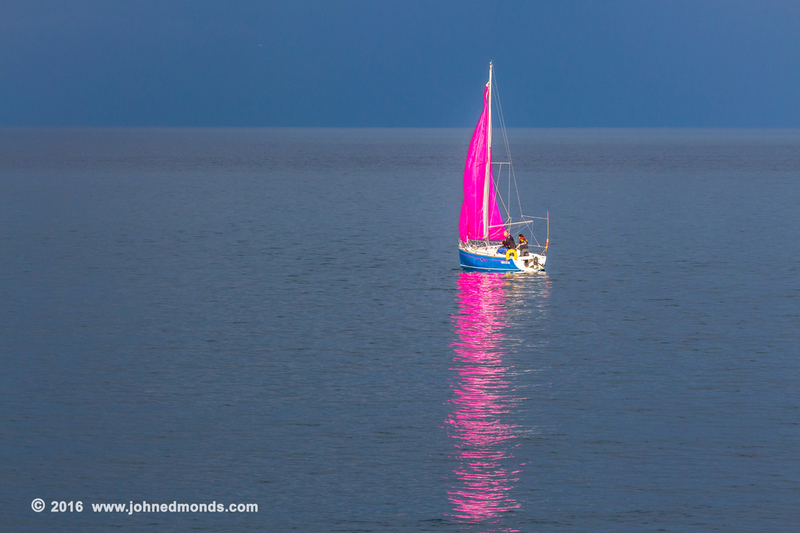 That pink spinnaker looks fantastic reflected on the calm, blue sea, apparently the picture made the local press. 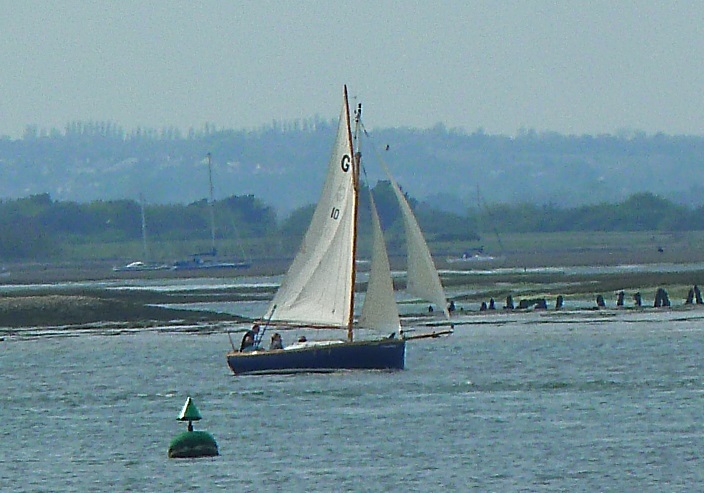 Below Matilda or Valkyrie as she's now named leads the fleet. 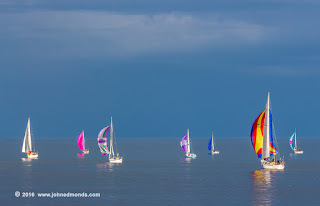 Thanks to Roger for sending the pics which were taken by John Edmonds who hopefully won't mind me posting here and who has some great pictures of Scarborough on his web pages. 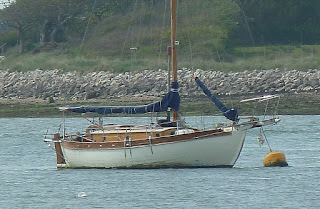 A little later they approached Chichester marina under engine, presumably having given up beating against the big spring tide. 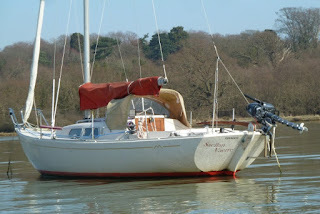 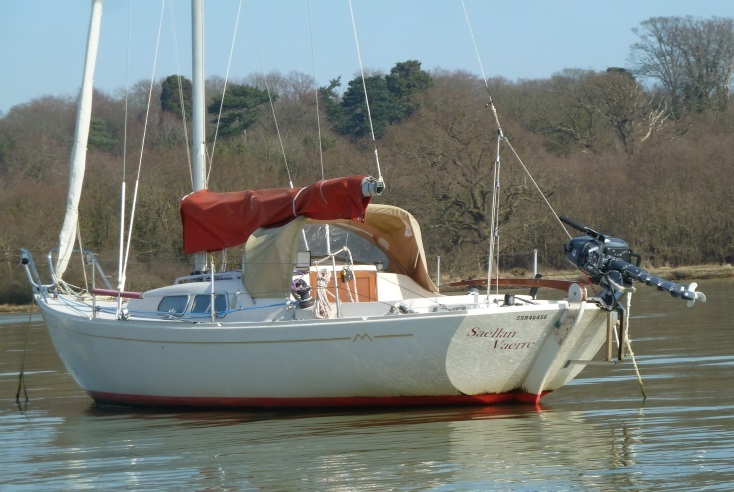 While out of the moorings this pretty double ender swings quietly to the tide. 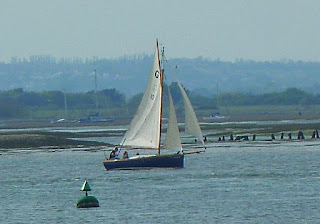 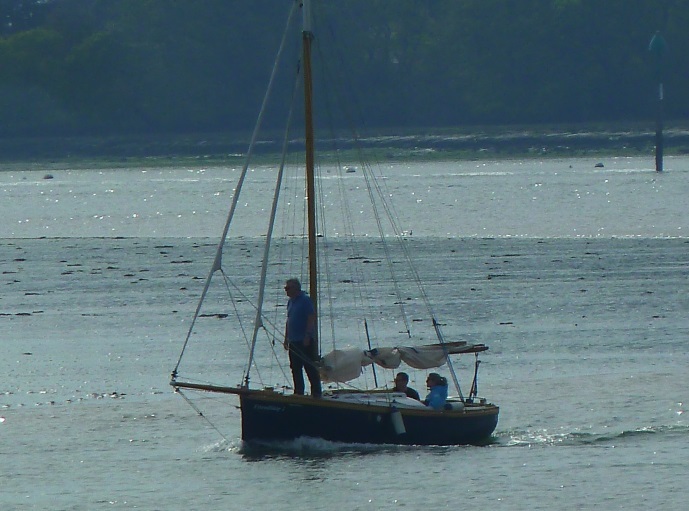 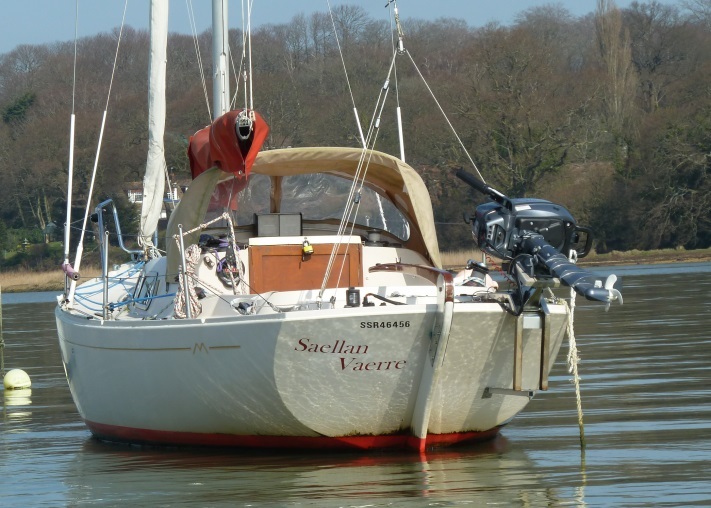 Seen while cycling the Saltern's Way, I really need to get out and have a sail or row around Chichester harbour. The old cafe building at Swanage pier head has some interesting graffiti. There's obviously a local controversy over the proposed development for which planning appears to have been granted back in 2012. 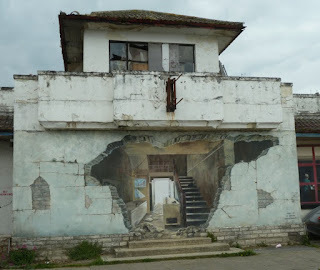 Edward Hooper's Nighthawks have come to Dorset in this side mural. 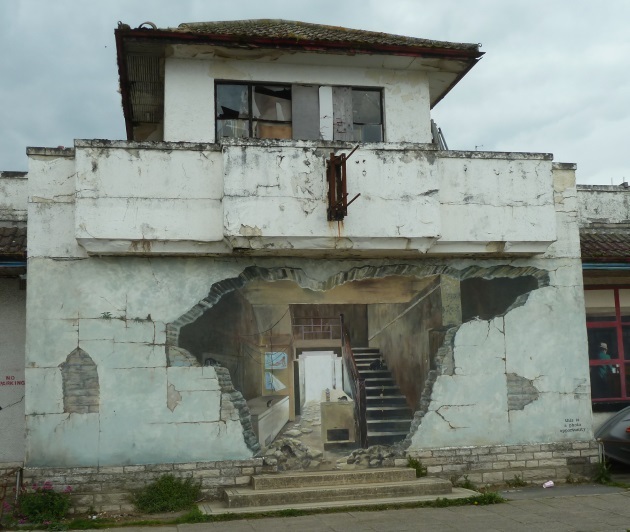 I'm in two minds about the proposed development, Swanage is a largely Victorian seaside town and while I quite like the new design, my personal opinion is that it's too much contemporary cookie cutter, glass and steel architecture with no attempt for the context and history of the pier head area. 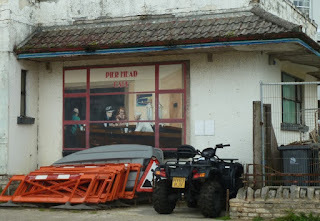 Given that the planners made such a hash of the failed marina development back in the 1980's with the result that a bunch of Spanish style dwellings now grace the area beyond the pier I'm not at all sure they can be trusted with this.